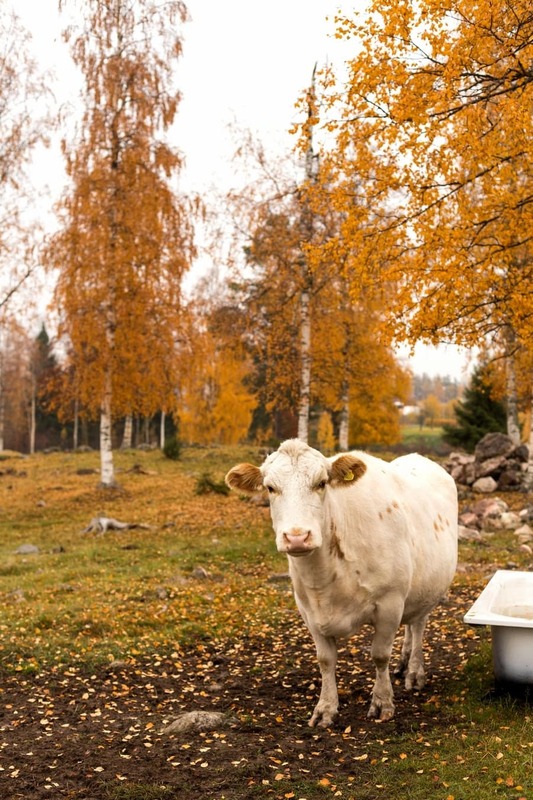 Murboannas is a small dairy located a 10-minute car ride south of Borlänge, Dalarna. 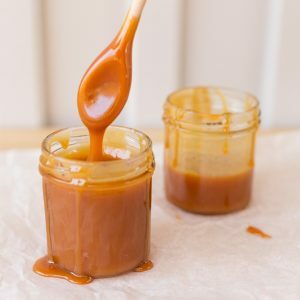 It is a small family-run business that also runs a shop and café. 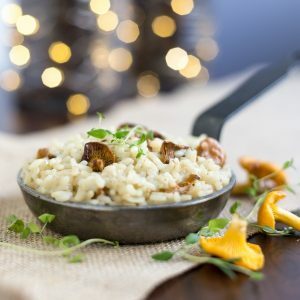 Murboannas’ philosophy is to serve fresh locally-produced food in a beautiful rural setting. 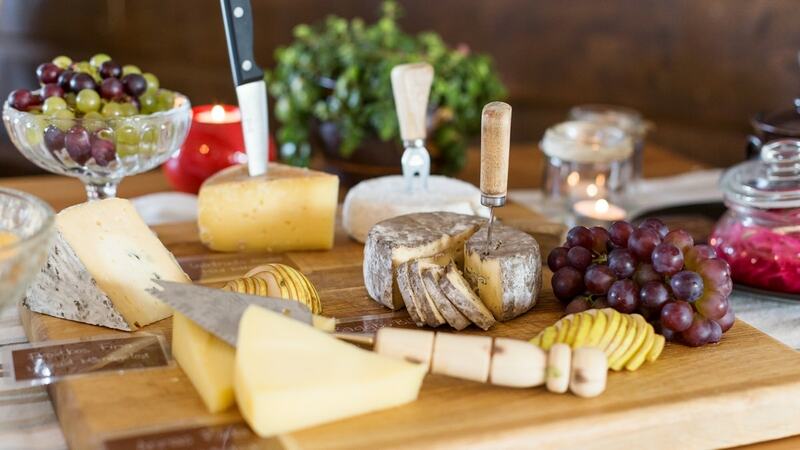 Their cheese is made on the premises, with milk from a neighbouring farm. The whole environment is so peaceful it looks straight out of a fairytale. This is the place to enjoy afternoon tea in Dalarna. A short detour from the main road following a road sign that reads “Murboannas ost”, that is to say Murboanna’s cheese, takes you a lovely wooden house set in the middle of a beautiful meadow. The house is obviously painted red, and four cows graze nearby. The shop is located on the ground floor. Stop there to try a sample of their cheese offer. The cheese lab is located just behind and you can get a glimpse of it through the large window to the right. The shop offers much more than cheese. Various local products, including meat, eggs, preserves, jams, drinks and breads are sold there. The café is located upstairs. All the food served at the café is home-made and the ingredients either come from local producers or are organic. 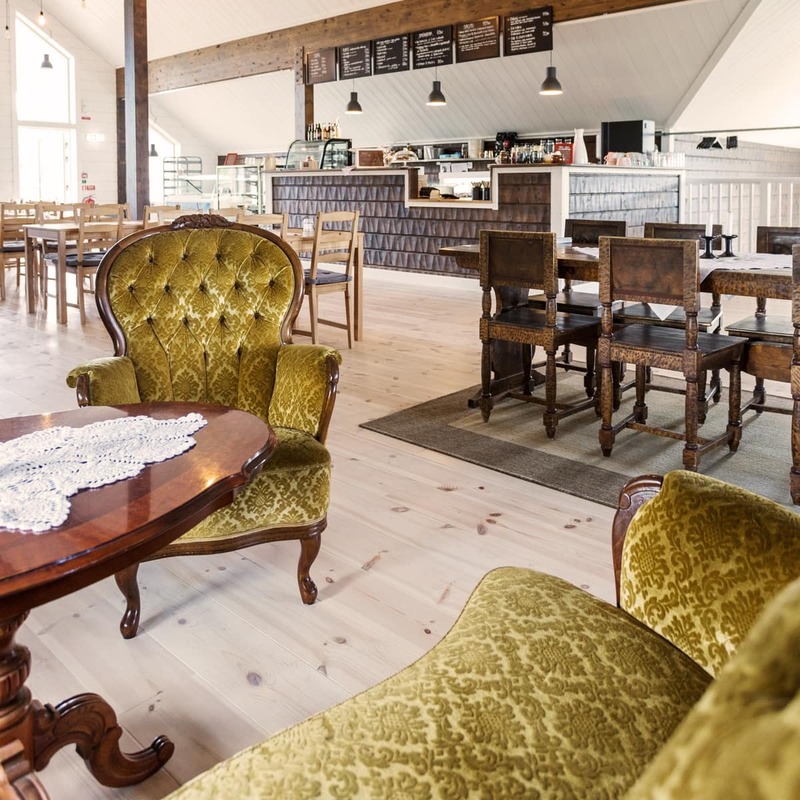 Murboanna’s café might be Dalarna’s cosiest place for fika. You can sit on a sofa, indulge on coffee or tea and home-made cake and just look out the huge windows over the meadows. 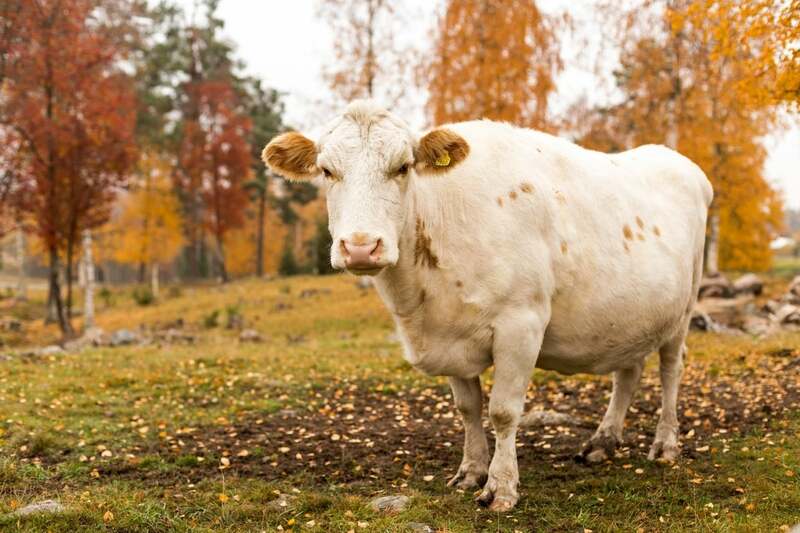 From spring till autumn is when you get to see their adorable cows roaming around the fields. During the winter the scenery is no less spectacular, as it’s all covered in snow. This is the perfect setting for afternoon tea, and that is exactly what you can get there. Some of the sofas where you can relax with a cup of coffee and cake. 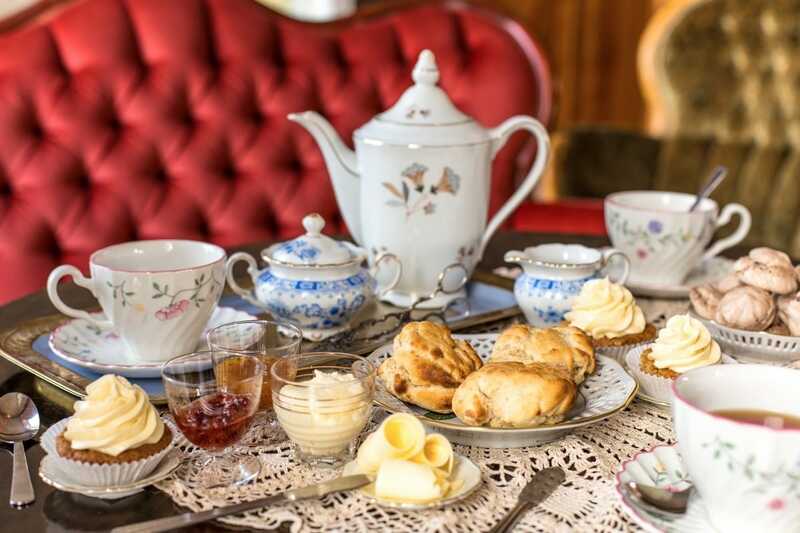 Afternoon tea at Murboannas is a special experience, as English afternoon tea meets Swedish fika. The vibe is that of a perfect fika: you sit down and enjoy some quality time spent over a hot drink and cake. Only, instead of filter coffee and cinnamon buns – the staples of the Swedish fika – you get to drink tea from beautiful porcelain cups and eat scones, sandwiches and mini-pastries. That’s not all. 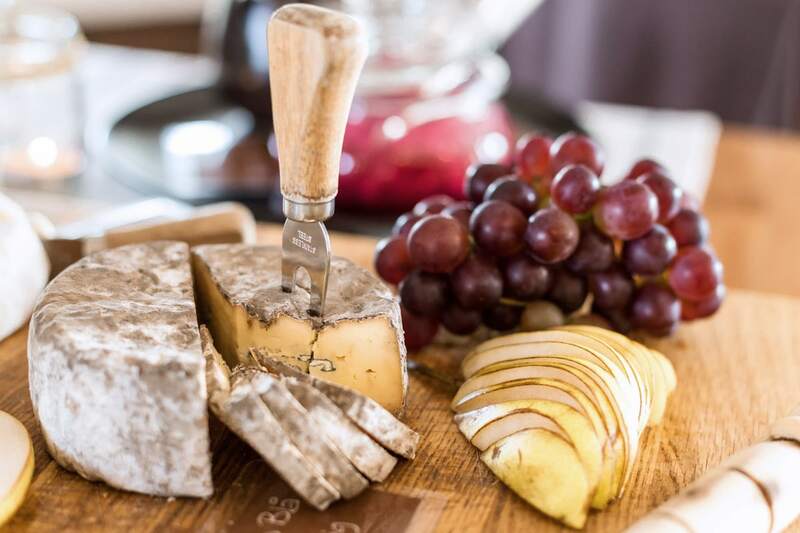 Afternoon tea customers have access to Murboannas’ exquisite cheese buffet, so you also get to sample Murboannas’ wonderful house cheeses along with various jams and pickled onions. 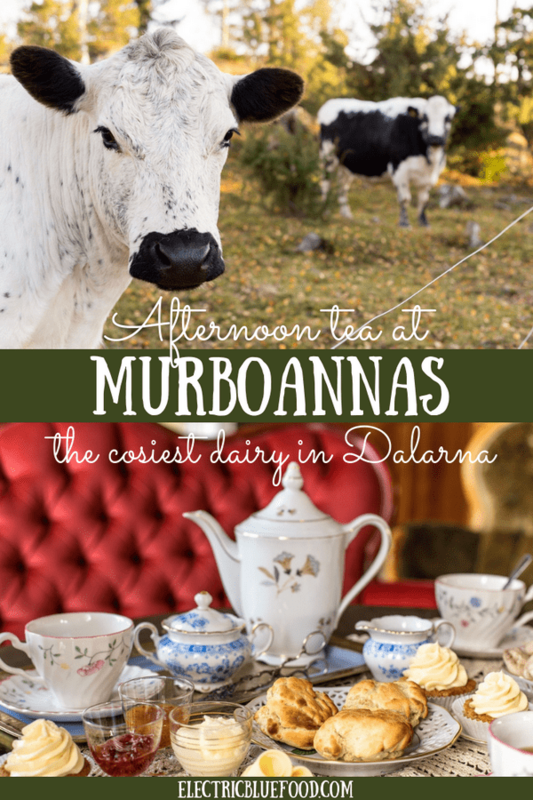 Murboannas really tried to give their own signature to afternoon tea. All the pastries and scones are baked in house with local ingredients. The breads are the same used on the larger open sandwiches sold at the café, and come from a local bakery. The signature sandwich served with afternoon tea is made with ostrich paté from the ostrich farm Sahlins Struts (the same where I had a delicious ostrich burger back in the summer). 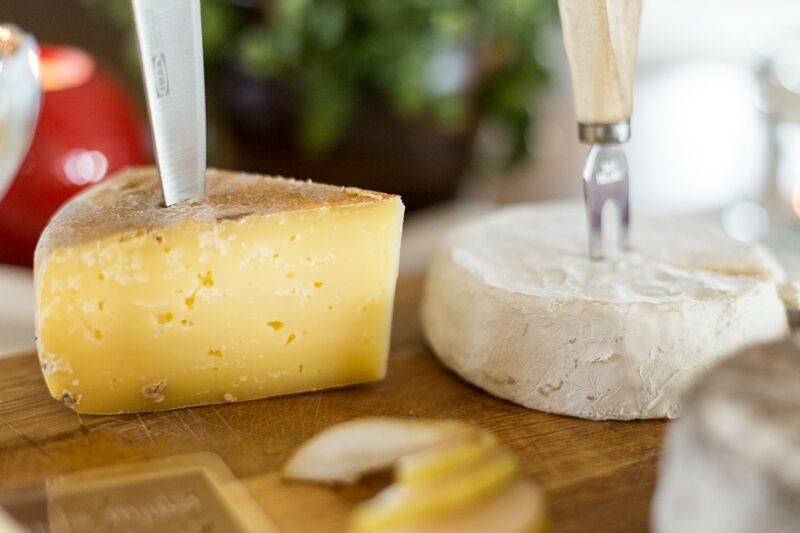 The whole cheese offer is not something you’d get at a regular afternoon tea, but it is an unmissable opportunity to make your own sandwiches with your cheese of choice. Carrot cake, meringues and scones to accompany a delicious organic black tea. The cheese tray at Murboannas’ cheese buffet. The cows are, obviously, the stars of the dairy. They are so important that they even have their own dedicated page on Murboannas’ website. 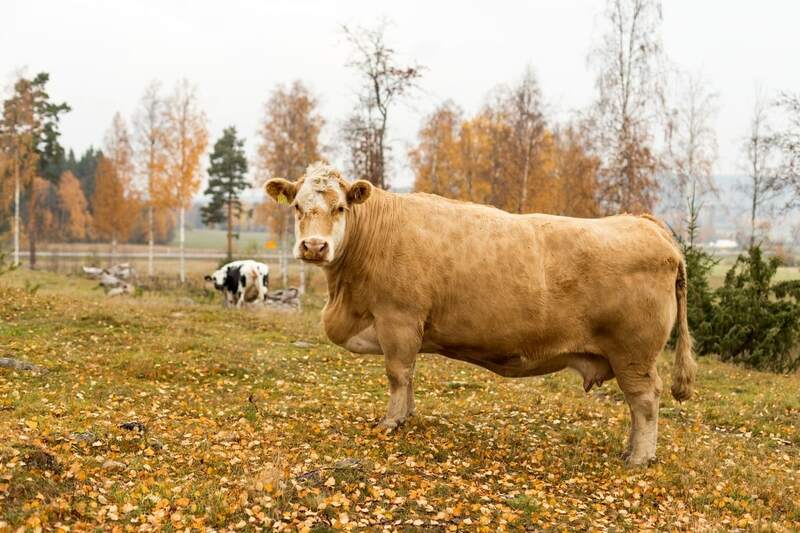 This summer the house cows Hjärtrud, Flora and Törnrosa were joined by the brown cow Hulda. Meeting those four beauties is definitely one of my favourite aspects of visiting Murboannas. They spent all summer peacefully soaking up the sun in the long summer days on the fields surrounding the property. Now it’s getting colder and soon they will return to the stall for the winter season. Not before I took a chance to photograph them in the stunning autumn colours. You can experience all of this just a short ride away from Borlänge. 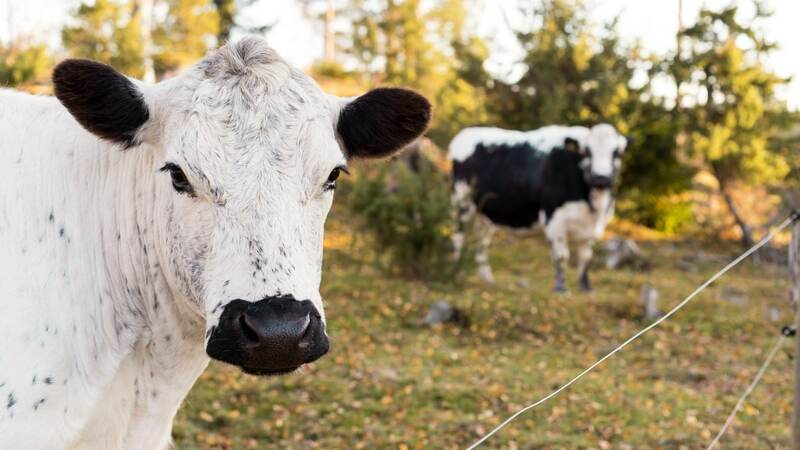 Seeing the cows graze from ample windows, enjoying delicious cheese and scones and tea on comfy sofas, and overall taking in the beauty and peace of such a rural setting. Is Murboannas the cosiest café in Dalarna? Well it certainly is the perfect place to have afternoon tea! This place looks amazing! 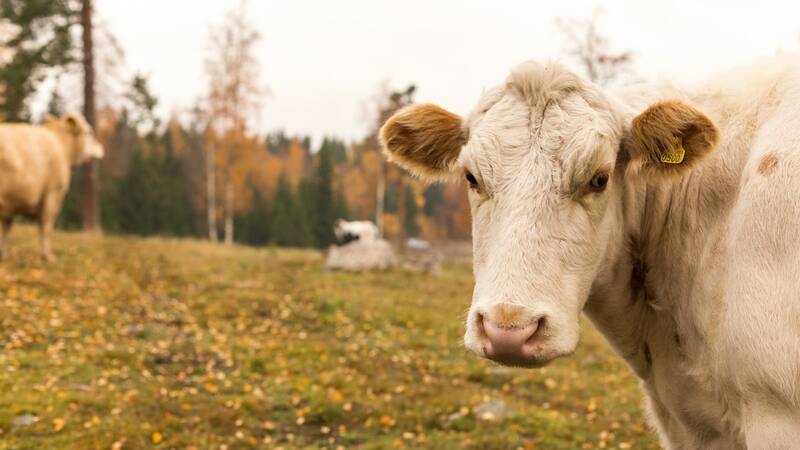 It would be so hard for me not to go hug the cows, they’re so cute! You’ve really captured their personalities 🙂 I’ve saved this, as this is definitely a place I want to visit the next time I’m in Sweden! Trust me I have the same feeling towards the cows. If I could I’d just run to them and hug them! They’re so adorable! Thank you! This place is a bit remote, but if you happen to travel to this area please do visit, it’s so worth it! This place sounds awesome! I love the cheese buffet idea, and the cows make it so unique. I can’t decide if I want to go in the fall though because of the leaves or in the winter with the snow! But winter in Dalarna is magical, and I’d definitely recommend this region when it’s full of snow! Um… this looks so perfect! The food and tea looks amazing! That cheese… wow! And darn it if I don’t love cows. They are so cute. I had no idea that something so perfect existed! I know right? 100% cosiness overload! I love cows too. They’re such peaceful creatures, watching them graze is so relaxing. Wow, what a place to enjoy afternoon tea with fresh locally-produced food !!! It is so rare to find these days fresh dairy food. All the pictures are so cool, perfectly framed. Thank you very much, I’m glad I managed to convey the beauty of this place! 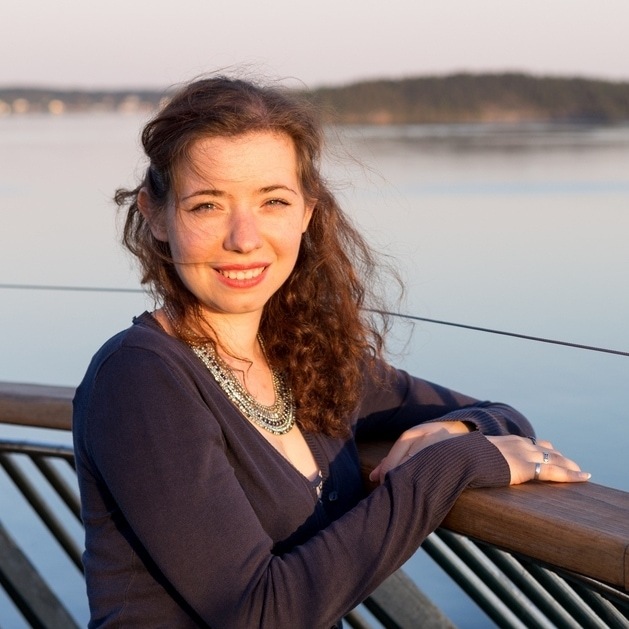 I’m a huge fan of afternoon tea—I’ve had a few memorable high teas on my travels! This one looks particularly delish. You’ve captured it so well… Your photography is stunning! Thank you so much! I love afternoon tea, too. It’s such an exquisite ritual. This one is definitely more rural, but a very charming experience nonetheless. You can’t find a better location to have an afternoon tea than this! 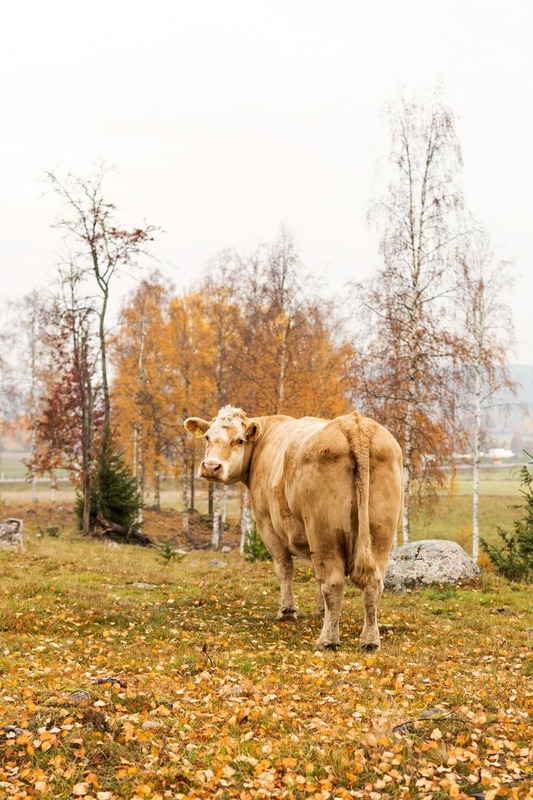 Sitting in a comfy armchair while sipping a lovely milky tea and watching the cow grazing: it’s the typical image I have of the English countryside. Glad to see that Swedish do it even better! 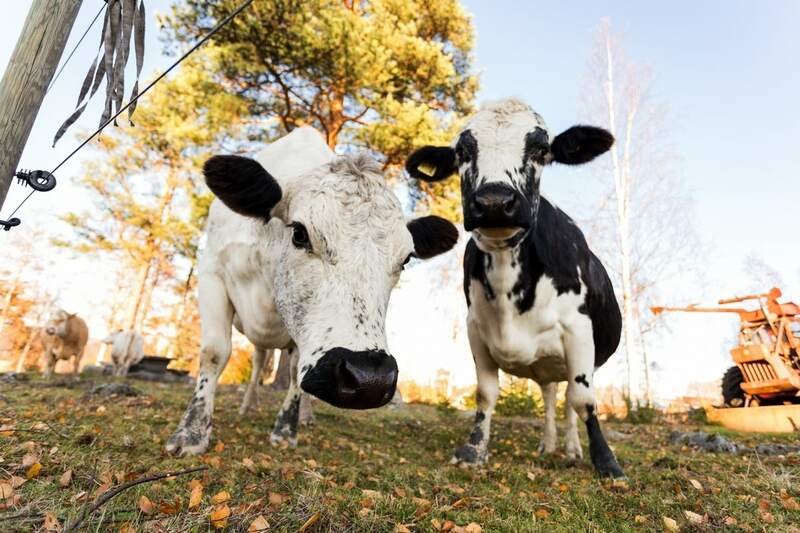 Although I have never heard of Dalarna before, I would like to go out there and meet these cute posing cows! Go for it! I could eat cheese every day. Wait, I sort of do. I just love cheese. Thank you very much. Those cows are so damn photogenic! This place is so enchanting. You took wonderful, lovely photos and transmitted the charm of this afternoon tea ritual to me. Well done! Thank you Federica 🙂 Glad I managed to convey these feelings!